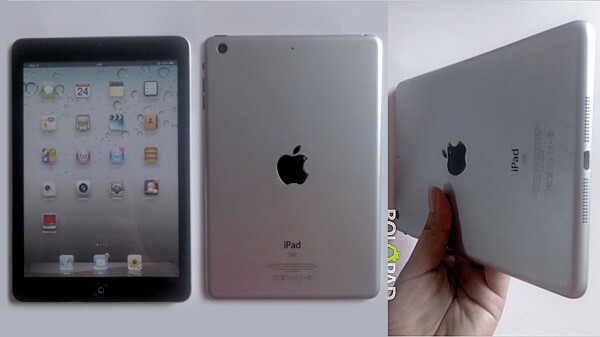 Bolopad.com, a Chinese site, has just leaked some pictures of a working iPad Mini. There have been lots of rumors about Apple releasing a smaller version of the iPad to compete with the Samsung products and the Amazon Kindle Fire HD. Now we have pictures of a fully assembled iPad Mini that is running iOS 6. The iPhone 5 was just announced and before the official announcement we knew pretty much the exact details due to all of the leaks. This is great news and seems fairly accurate that Apple will release an iPad Mini before the holidays. This may just be a concept of what the mini iPad may look like. I am guessing that Apple will try to make it look more like the iPhone 5 with an aluminum back and 2 tone. There is another rumor rolling around that Apple will unvail the iPad next month. Stay tuned for more details. What do you guys think of the pictures? Would you buy an iPad Mini?